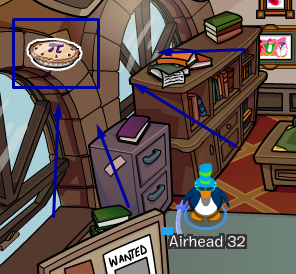 Pi Pie and Puffle Guide Badge Pins have been released on Club Penguin! Another week with more new pins but this time we have TWO new pins. That's a twist, huh? 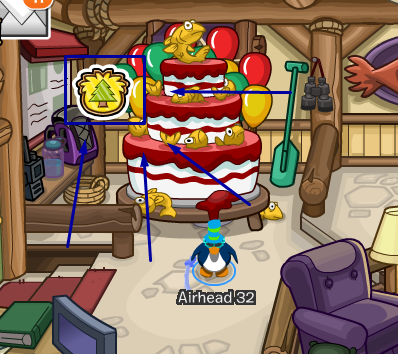 For the Puffle Guide Badge (will be a rare pin) you will need to go to the NEW ski lodge that just got updated. Now for the actual pin for this week you will need to head over to the book room. The book room is located on the second floor of the coffee shop found at the town.